That’s how scientists are describing the biodiversity loss in what is being recognized as Earth’s sixth mass extinction event . Not only are extinctions occurring at a rate 100 times higher than would occur naturally, but overall populations are also shrinking at alarming rates [1,2]. A 2014 Science report termed it the “Anthropocene defaunation”, reflecting humanity’s role in this biodiversity loss . Among the casualties in this “Age of Humans” is one of “the few butterflies known to have become extinct in the United States”  — The Florida Zestos Skipper Butterfly Epargyreus zestos oberon (Worthington, 1881) . This butterfly’s story draws forth science, taxonomy, history, and art from the Biodiversity Heritage Library (BHL) for a cutting edge representation of biodiversity in challenging times. Florida Zestos Skipper Butterflies Epargyreus zestos oberon† (Worthington, 1881) – Male (Left: Upperside; Right: Underside). Collected in Monroe County; Everglades National Park, Bear Lake Trail, Florida in May 1973. The photos were taken in the Florida Department of Agriculture and Consumer Services, Florida State Collection of Arthropods. The specimens are now incorporated into the Florida Museum of Natural History/McGuire Center for Lepidoptera and Biodiversity. Photos copyright and courtesy of Marc C. Minno, PhD. The recorded scientific history of the Zestos Skipper Butterfly extends back to the early nineteenth century. In the 1819 publication Verzeichniss bekannter Schmettlinge [sic], Jacob Hübner first listed the butterfly as Proteides zestos. 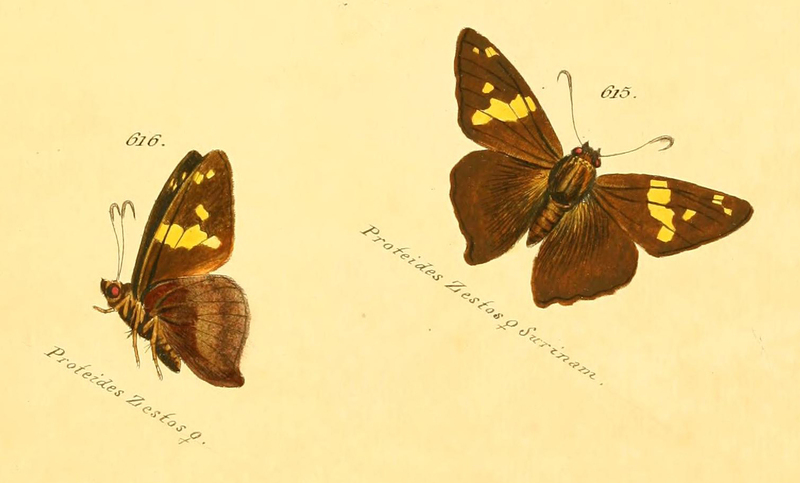 Hübner later illustrated the P. zestos holotype (type locality “Surinam”, probably in error) via two figures of a female specimen in his Zuträge zur Sammlung exotischer Schmetterlinge (1826). However, as Hübner provided no description to accompany the name and illustration, it was not until 1832, after his death, that his assistant Carl Geyer officially described Proteides zestos as a new species. Proteides zestos illustrated by Jacob Hübner in Zuträge zur Sammlung exotischer Schmetterlinge (1826). Contributed in BHL by Smithsonian Libraries. Over the next 50 years, this rather unassuming reddish-brown Skipper, with a range from the Florida Keys to the Caribbean, was reclassified and redescribed by various authors. 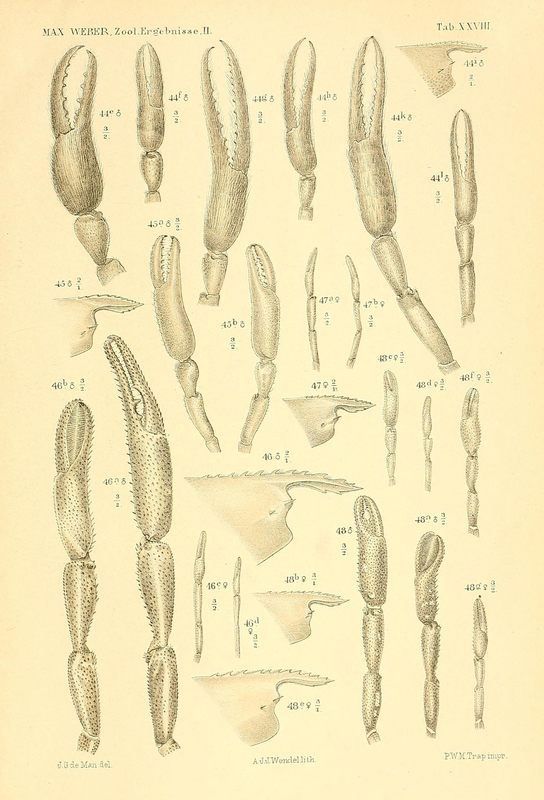 In Dublin, William F. Kirby (1871) assigned it to a new genus (Telegonus zestos) and in Chicago, Charles E. Worthington (1881), examining 31 specimens from Marco Island, Florida, described it as a new species (Endamus [sic] oberon), based on its resemblance to Eudamus tityrus. In 1884, Eugene M. Aaron, after evaluating over 160 specimens of tityrus and zestos, concluded that Proteides zestos, Telegonus zestos, and Eudamus oberon were in fact the same species. Dr. Marc C. Minno (Insect Ecologist with Eco-Cognizant in Gainesville, FL) began searching for the Florida Zestos Skipper Butterfly in 2006. At his request, Skipper butterfly expert Dr. George T. Austin evaluated Zestos Skipper butterfly specimens in the Florida Museum of Natural History collection with type localities from Florida and the Caribbean. Before his death, Austin concluded that the Florida Zestos Skipper Butterfly actually represents a unique subspecies or sibling species . Based on his own observations and Austin’s comments, Minno believes “oberon” to be the valid name of the Florida Zestos Skipper Butterfly population and has, until he can complete Austin’s study, designated it as Epargyreus zestos oberon (Worthington, 1881) . Over the past 50 years, the Florida Zestos Skipper Butterfly population has been in decline. According to Minno, this butterfly, “once locally common in coastal areas of southern Florida”, had “disappeared from the mainland” by the mid-1980s. The last known sightings of Florida Zestos Skippers occurred in January 2004, at the Key West Tropical Forest and Botanical Garden in Stock Island, Florida . In 2012, Minno et al., concluded a six-year survey looking for declining butterfly species in southern Florida . Because the study failed to produce a single sighting of the Florida Zestos Skipper, in any stage of life, it was recommended that it be presumed extinct. Together with the Rockland Meske’s Skipper, these represent the “first [known] butterfly extinctions in Florida” . The Florida Zestos Skipper exists now only in museums and the pages of historic literature, its memory preserved in natural history collections, libraries, and repositories like the Biodiversity Heritage Library. Joseph Gregory Rossano, Vanity (As installed at Museum of Glass, Tacoma, Washington, 2015); photo by C.B. Bell III, copyright and courtesy of Museum of Glass. 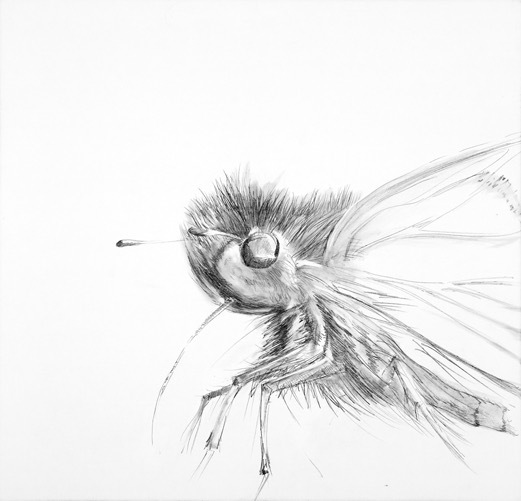 The Florida Zestos Skipper Butterfly is just one of the “biological specimens” featured in Vanity, an art installation by Joseph Gregory Rossano. 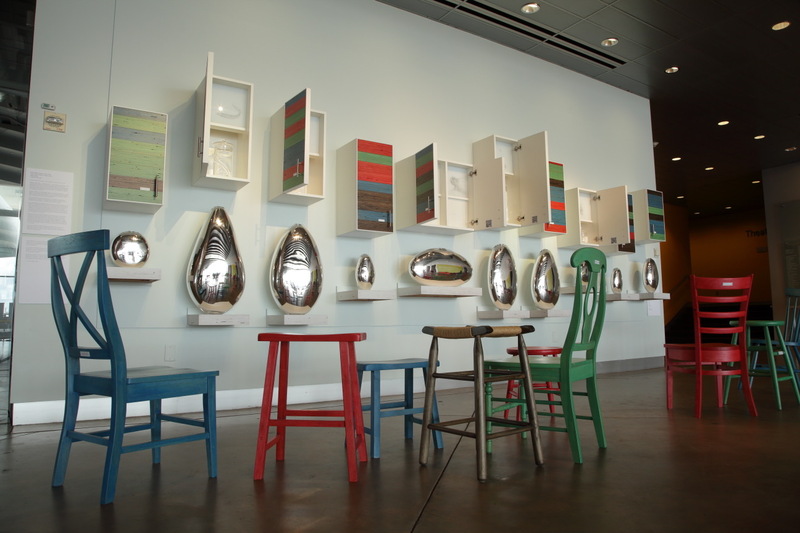 Created for and with the support of the Museum of Glass (MOG) in Tacoma, Washington, Vanity was on display at MOG from March 3 – August 30, 2015. 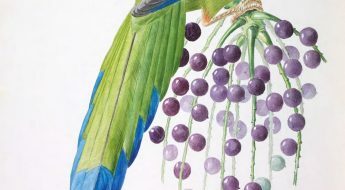 The exhibition tells the story of eleven species and subspecies, presumed extinct, presented through the lens of humanity’s role in their demise. The installation includes eleven “vanity” cabinets. The cabinet doors, Rossano’s “portrait” of man, are composed of imperfect wood laminate adorned with visual representations of Homo sapiens’ DNA barcode. On the bottom corner of each door, a scientific label hints to the species’ or subspecies’ identity inside the cabinet, beneath these human “fingerprints”. 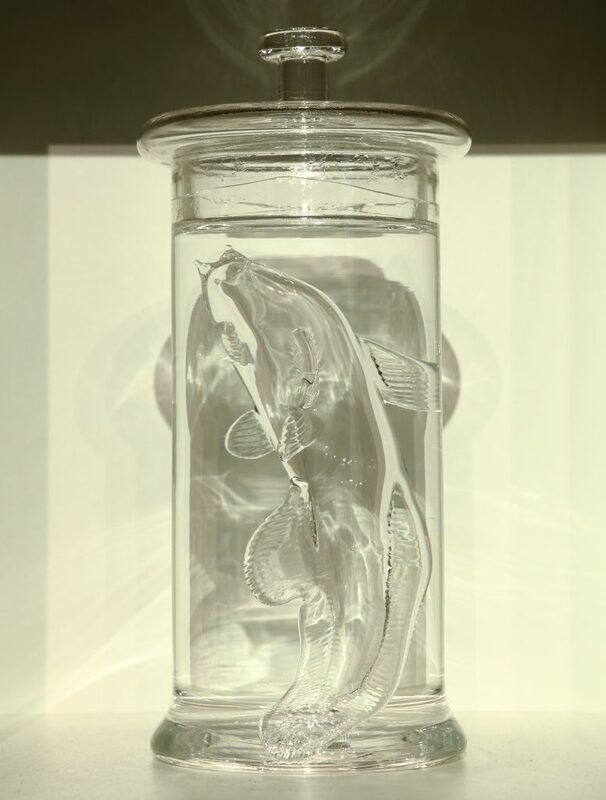 Rossano depicts the species through “faded” pencil portraits and as transparent glass sculptures suspended in clear liquid, inside period specimen jars. The overall effect is of a species vanishing behind the portrait of humanity…just as it has in reality. Beneath each cabinet are mirrored, almond-shaped glass sculptures and in front of each, a chair with a specimen label: Homo sapiens. These objects accentuate humanity’s role in the loss of each species, for, as Rossano articulates in the exhibition catalogue, “When viewing Vanity from a seated position, we see ourselves reflected in these forms that echo the divine. In our vanity we reflect generations of humans who saw themselves as divine, while the truly divine—our 11 innocent and bygone species, subspecies, and their stories—reflect the truth about us” . Rossano’s use of glass as a medium is equally deliberate: “like our environment, glass is transparent, fragile, and reflective — transparent in that it hides nothing, fragile in that once damaged it may never be repaired, and reflective of how we have impacted it” . 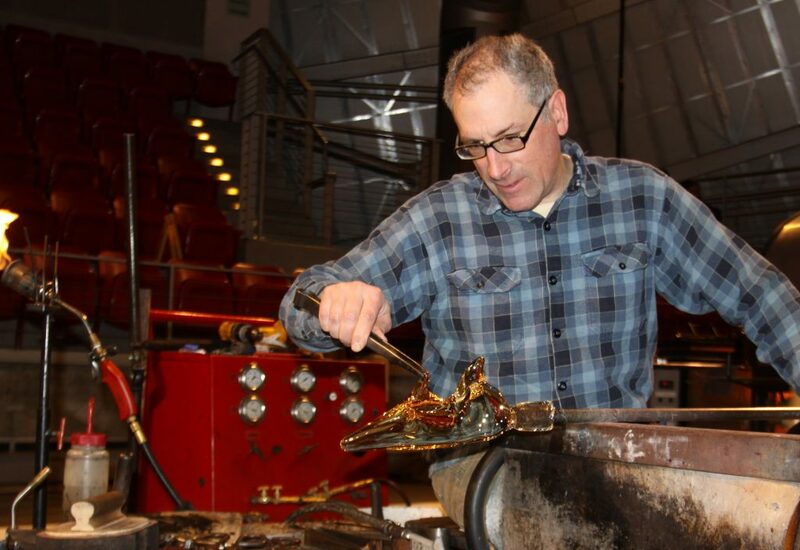 Joseph Gregory Rossano working on Vanity in the Museum of Glass Hot Shop, January 2014. Photo copyright and courtesy of Museum of Glass. Each cabinet also offers a QR code leading to historical accounts of the enclosed species. 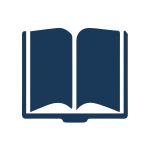 These accounts summarize the species’ “discovery” (collection date, type locality, collector, scientific illustrations, etc. ), humanity’s role in its extinction, and the year it was declared “Extinct”. To produce these species tales, Rossano collaborated with Sandra I. Berríos-Torres, MD. Berríos-Torres served as author of the 11 historical accounts and as Editorial Director of the exhibition catalogue, on behalf of Joseph Gregory Rossano. The Biodiversity Heritage Library was a crucial resource for Berríos-Torres. Consulting dozens of publications in BHL while conducting research for Vanity, she ultimately cited 16 of them in the historical accounts that were incorporated into the exhibition and catalogue. The Florida Zestos Skipper Butterfly had the highest number of BHL citations in Vanity. Berríos-Torres used BHL to follow the butterfly’s taxonomic journey from its first listing by Hübner in 1819 to Aaron’s evaluation of the species in 1884. Berríos-Torres is an orthopaedic surgeon and a Centers for Disease Control and Prevention trained epidemiologist who has conducted laboratory and field research on infectious diseases and had a lead role in public health responses to national and international infectious disease outbreaks. Berríos-Torres was initially introduced to Rossano in the fall of 2009 at the opening of his BOLD exhibit, which examined species identity through art and incorporated Barcode of Life Data Systems‘ (BOLD) DNA barcodes into the installation’s sculptures. BOLD was inspired by Rossano’s 2008 visit to the Área de Conservación Guanacaste (ACG) in northwestern Costa Rica at the invitation of Bradley Zlotnick, MD. At ACG, Rossano learned about DNA barcoding and met Zlotnick’s mentors, tropical ecologists Dr. Daniel H. Janzen and Dr. Winnie Hallwachs. Their 2004 landmark study on cryptic butterfly species, in collaboration with researchers at Smithsonian’s National Museum of Natural History (John M. Burns) and the University of Guelph, Canada (Paul D. N. Hebert, Erin H. Penton), “…illustrate(d) the value of DNA barcoding, especially when coupled with traditional taxonomic tools, in disclosing hidden diversity” . Barcodes offered a “rediscovery” of biodiversity. Concurrently with BOLD, Rossano’s Whitewashed exhibition “…aimed at revealing our own species’ whitewashing of Man’s relationship with nature throughout time” . In 2013, the art critic for the Seattle Stranger drew a parallel between Whitewashed and a blog post about eight animal species and three subspecies reported as “Extinct”, including the Eskimo Curlew, Numenius borealis (Forster, 1772), one of the species highlighted in Whitewashed and also featured in the blog. The post inspired Rossano to imagine a new installation on extinction, and Vanity was born. 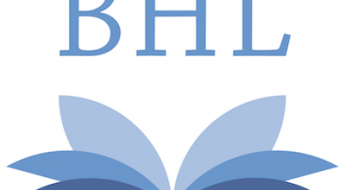 Berríos-Torres first discovered BHL in December 2014 while performing literature searches for the species’ historical accounts in Vanity. It quickly became a daily part of her research process. 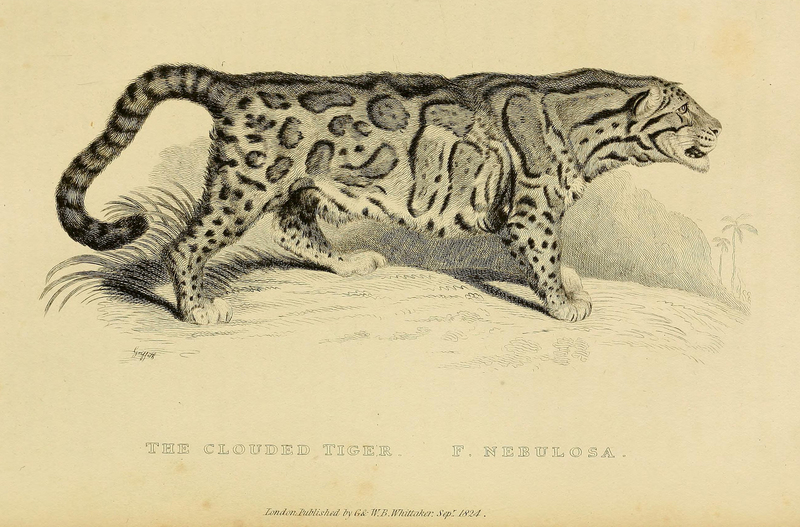 Illustration of the Clouded Leopard Neofelis nebulosa (Griffith, 1821) from Griffith’s The Animal Kingdom, v. 2 [Mammalia] (1827), contributed in BHL from Smithsonian Libraries. Retrieved from BHL and featured in the Vanity exhibition catalogue. In 2006, genetic testing revealed that the Clouded Leopard of Formosa (Taiwan) N. nebulosa brachyura, thought to be one of four subspecies of the mainland Clouded Leopard N. nebulosa (Griffith,1821), is actually genetically identical to the mainland N. nebulosa . BHL houses Griffith’s first description from 1821, of what he called the Chinese or Tortoiseshell Tiger, Felis nebulosa, based solely on an illustration. In 2008, the International Union for Conservation (IUCN) listed N. nebulosa as “Regionally Extinct” in Taiwan . Tracking down relevant publications required quite a bit of sleuthing. 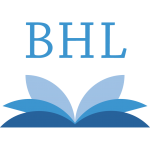 For this, BHL’s various advanced search options proved invaluable. In 2015, de Grave et al., using IUCN Red List Criteria, concluded that the Freshwater Shrimp from Java Macrobrachium leptodactylus (de Man, 1879a) is one of two “Extinct” freshwater shrimp species . This illustration depicts specimens collected in 1888 by Dutch-German zoologist Max Wilhelm Carl Weber — the only M. leptodactylus specimens ever collected . It was published by Johannes Govertus de Man along with his description of Weber’s specimens as a new subspecies, Palaemon pilimanus, var: leptodactylus (1892). BHL also has de Man’s first description of the species as Palaemon pilimanus (1879). The illustration, retrieved from BHL, was contributed by Smithsonian Libraries and published in the Vanity catalogue. In addition to the Zestos Skipper Butterfly, BHL provided valuable references for several other species featured in Vanity, including a freshwater shrimp from Java Macrobrachium leptodactylus (de Man, 1879a), the Clouded Leopard of Formosa (Taiwan) Neofelis nebulosa (Griffith, 1821), and the Scioto Madtom Catfish Noturus trautmani (Taylor, 1969). Photograph of the holotype (male) of the Scioto Madtom Catfish Noturus trautmani (Taylor, 1969), in the collections of the Smithsonian National Museum of Natural History. Bulletin – United States National Museum. No. 282 (1969). Contributed in BHL from Smithsonian Libraries. The Scioto Madtom Catfish was first described by Smithsonian scientist Dr. William R. Taylor, former curator of fishes at the National Museum of Natural History, based on a “funny looking catfish” collected by Dr. Milton B. Trautman in 1943, from Big Darby Creek in Pickaway County, Ohio . Using BHL, Berríos-Torres was able to retrieve Taylor’s original description and a photograph of the holotype, a male specimen housed in the Smithsonian collections. Scioto madtom has not been observed since Trautman’s last collected specimen in 1957 . Habitat loss and competition from the Northern Madtom Noturus stigmosus (Taylor, 1969) may have contributed to Scioto Madtom’s extinction [15,16]. In 2013, the IUCN Red List declared Noturus trautmani “Extinct” . Joseph Gregory Rossano, Vanity (Scioto Madtom Catfish, Noturus trautmani (Taylor, 1969) as installed at Museum of Glass, Tacoma, Washington, 2015); photo by C.B. Bell III, copyright and courtesy of Museum of Glass. The themes in BOLD and Vanity continue to evolve and converge. In 2017, Dr. Jacob J.D. Egge, scientific collaborator on the Vanity exhibition catalogue, championed bringing Vanity to The University Gallery at Pacific Lutheran University (PLU, Tacoma, Washington). There, Rossano expanded the installation to include select biological specimens from Washington state and housed in PLU’s Burton Ostenson Natural History Museum collection. The specimens were displayed atop multiple antique mirrored vanities across from the original installation and included a taxidermied woodpecker alongside Rossano’s clear glass sculpture of the same. Berríos-Torres compiled a supplement to the Vanity exhibition catalogue composed of natural history summaries of the PLU specimens, written by students in Egge’s Natural History of Vertebrates course. The students’ writings were incorporated into the expanded installation through QR codes on the wall, alongside the corresponding museum specimen. In 2018, Egge and Rossano presented on their Vanity collaboration at the University of Puget Sound’s Art|Sci: Art+Science salon. The La Jolla Historical Society, inspired by Vanity, invited Rossano to create a work that reflected a part of San Diego’s biodiversity for the 2018 La Jolla Canyons: Place, Diversity, Connections exhibition (Wisteria Cottage, La Jolla, California). The Solitary Vireo cryptic species complex [18,19], revealed by DNA sequencing to be three distinct songbird species, includes Cassin’s vireo Vireo cassinii (Xántus, 1858), the only one of the three that migrates through San Diego County. Rossano displayed three morphologically indistinguishable clear glass vireo sculptures, blown in the likeness of museum collection specimens and identified solely through scientific tags or DNA barcodes (as in BOLD), atop an antique mirrored vanity (as in Vanity at PLU). “[Vanity] gives us a chance to think about our role in this beautiful and vibrant world. The butterflies are telling us that something is wrong with the environment. We must learn to live modestly and to protect our planet if butterflies, as well as humans, are to survive” . From historic literature and museum specimens, to traditional morphological taxonomy and modern DNA barcoding techniques, Vanity and BOLD convey and reflect more than just humanity’s role in this epoch’s loss of biodiversity. Rossano’s installations highlight the “renaissance of taxonomy” , the need for continued scientific exploration, and the opportunities that abound in gaining a better understanding Earth’s biodiversity. Mora et al., have predicted that, “In spite of 250 years of taxonomic classification and over 1.2 million species already catalogued in a central database…some 86% of existing species on Earth and 91% of species in the ocean still await description” . As Berríos-Torres’ reflection on her research for Vanity demonstrates, access to historic literature, images, and other library materials are vital to cataloguing, understanding, and communicating Earth’s biological heritage. Joseph Gregory Rossano, Zestos Skipper Butterfly, 2014. Pencil on melamine, 18 X 18 inches (actual size before photographic reduction); photo by C.B. Bell III, copyright and courtesy of Joseph Gregory Rossano. Ceballos G., Ehrlich P.R., Dirzo R. (2017). Biological Annihilation via the Ongoing Sixth Mass Extinction Signaled by Vertebrate Population Losses and Declines. Proceedings of the National Academy of Sciences Jul, 114 (30) E6089-E6096; DOI: 10.1073/pnas.1704949114. Ceballos G., Ehrlich P.R., Barnosky A.D., García A., Pringle R.M., and Palmer T.M. (2015). Accelerated Modern Human–Induced Species Losses: Entering the Sixth Mass Extinction. Science Advances 1(5). e1400253DOI: 10.1126/sciadv.1400253. Dirzo R., Young H.S., Galetti M., Ceballos G., Isaac N.J.B., Collen B. (2014). Defaunation in the Anthropocene. Science 345(6195): pp. 401-406. DOI: 10.1126/science.1251817. Minno M. C., Daniels J., Jue D. K. (2012). Statement on the Extinction, Decline, and Loss of Butterflies in South Florida. 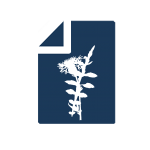 Available at http://www.bio.miami.edu/horvitz/Plant-animal%20interactions%202013/conservation/required%20readings/Statement%20on%20Species%20Loss%20June%202012%20MC%20Minno.pdf. Accessed on 6 December 2018. Schweitzer D. F., Minno M. C., and Wagner D. L. (2011). Rare, Declining, and P​oorly Known Butterflies and Moths (Lepidoptera) of Forests and Woodlands in the Eastern United States. U.S. Forest Service, Forest Health Technology Enterprise Team, FHTET-2011-01. USDA Forest Service, Morgantown, West Virginia. 517 pp. Minno M.C. (2010). Butterfly Extinctions in South Florida. American Butterflies 8(3):17. Available at: http://www.naba.org/pubs/ab183/ab183_extinctions.pdf. Accessed on 6 December 2018. Rossano, J.G. (2015). Preface. In S.I. Berríos-Torres (Ed. ), Joseph Gregory Rossano: Vanity (pp.13-16). Tacoma, WA: Museum of Glass. Lawrimore S. (2015). Swan Song. In S.I. Berríos-Torres (Ed. ), Joseph Gregory Rossano: Vanity (pp.21-26). Tacoma, WA: Museum of Glass. Hebert P.D.N., Penton E.H., Burns J.M., Janzen D.H., and Hallwachs W. (2004). Ten Species in One: DNA Barcoding Reveals Cryptic Species in the Neotropical Skipper Butterfly Astraptes Fulgerator. PNAS 101(41): 14812-14817. www.pnas.org/cgi/doi/10.1073/pnas.0406166101. Accessed on 6 December 2018. Buckley-Beason V.A. et al. (2006). Molecular Evidence for Species-Level Distinctions in Clouded Leopards. Current Biology 16(23):2371-2376. Available at: http://www.cloudedleopard.org/Documents/Val_CB_2006.pdf. Accessed on 6 December 2018. Grassman L., Lynam A., Mohamad S., Duckworth J.W., Bora J., Wilcox D., Ghimirey Y., Reza A. & Rahman H. (2016). Neofelis nebulosa. The IUCN Red List of Threatened Species 2016: e.T14519A97215090. http://dx.doi.org/10.2305/IUCN.UK.2016-1.RLTS.T14519A97215090.en. Accessed on 6 December 2018. De Grave S., Smith K.G., Adeler N.A., Allen D.J., Alvarez F., Anker A., et al. (2015). Dead Shrimp Blues: A Global Assessment of Extinction Risk in Freshwater Shrimps (Crustacea: Decapoda: Caridea). PLoS ONE 10(3): e0120198. doi:10.1371/ journal.pone.0120198. Accessed on 6 December 2018. Berríos-Torres S.I. (2015). Freshwater Shrimp from Java. Macrobrachium leptodactylus (de Man, 1879a). In S.I. Berríos-Torres (Ed. ), Joseph Gregory Rossano: Vanity (pp.52-56). Tacoma, WA: Museum of Glass. U.S. Fish and Wildlife Service (USFWS). (1976). National Digital Library. Milton B. Trautman Oral History Transcript. Interview with Milton B. Trautman. Interviewer Michael Smith. “Audio Cassette Dub from Reel-to Reel”. July 1976. Available at: http://digitalmedia.fws.gov/cdm/ref/collection/document/id/1031. Accessed on 6 December 2018. Scioto madtom (Noturus trautmani) 5-Year Review: Summary and Evaluation. U.S. Fish and Wildlife Service, Midwest Region, Ohio Ecological Services Field Office, Columbus, Ohio. Available at: http://www.fws.gov/midwest/endangered/recovery/5yr_rev/pdf/scma5yr2009.pdf. Accessed on 6 December 2018. King C.C. (1981). Prairies of the Darbie Plains in West-Central Ohio. Stuckie & Reese. Ohio Biological Survey Biology Notes 15:108-127. Available at: http://images.library.wisc.edu/EcoNatRes/EFacs/NAPC/NAPC06/reference/econatres.napc06.cking.pdf. Accessed on 6 December 2018. NatureServe. Noturus trautmani. The IUCN Red List of Threatened Species 2013: e.T14908A19032932. http://dx.doi.org/10.2305/IUCN.UK.2013-1.RLTS.T14908A19032932.en. Accessed on 6 December 2018. Murray B. W., McGillivray W. B., Barlow J. C., Beech R. N., and Strobeck C. (1994). The Use of Cytochrome B Sequence Variation in Estimation of Phylogeny in the Vireonidae. The Condor 96:1037-1054. https://sora.unm.edu/sites/default/files/journals/condor/v096n04/p1037-p1054.pdf. 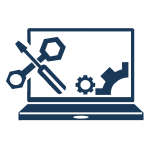 Accessed on 17 December 2018. Johnson N.K. (1995). Speciation in Vireos. I. Macrogeographic Patterns of Allozymic Variation in the Vireo Solitarius Complex in the Contiguous United States. The Condor 97:903-919. https://sora.unm.edu/sites/default/files/journals/condor/v097n04/p0903-p0919.pdf. Accessed on 17 December 2018. Minno, M.C. (2015). Reflections on the Rockland Meske’s Skipper Butterfly and the Zestos Skipper Butterfly. In S.I. Berríos-Torres (Ed. ), Joseph Gregory Rossano: Vanity (pp.52-56). Tacoma, WA: Museum of Glass. Miller S.E. (2007). DNA Barcoding and the Renaissance of Taxonomy. Proc Natl Acad Sci USA 104(12): pp. 4775-6. Epub 2007 Mar 15. https://www.pnas.org/content/104/12/4775. Accessed on 17 December 2018. Mora C, Tittensor DP, Adl S, Simpson AGB, Worm B. (2011). How Many Species Are There on Earth and in the Ocean? PLoS Biol 9(8): e1001127. doi:10.1371/journal.pbio.1001127. Accessed on 17 December 2018. Sandra I. Berríos Torres, MD, is an orthopaedic surgeon, subspecialty trained in Sports Medicine, and a Centers for Disease Control and Prevention (CDC) trained epidemiologist. She has performed molecular genetics and field research evaluating mosquito borne (Africa) and childhood diarrheal diseases (Latin America). At CDC, she had a lead role in public health responses to national and international infectious disease outbreaks. She has enthusiastically supported Joseph Gregory Rossano since attending the opening of his first BOLD DNA barcoding exhibition in 2009. For Vanity, Rossano’s art installation at the Museum of Glass (2015) and at The University Gallery at Pacific Lutheran University (2017) in Tacoma, Washington, she served as Author of the species’ historical accounts and Editorial Director of the exhibition catalogue.